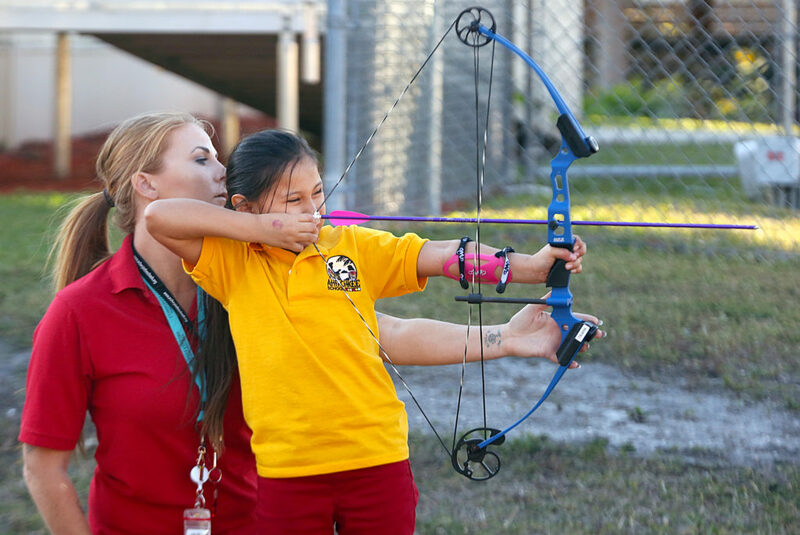 BIG CYPRESS — The ancient sport of archery has come to the Ahfachkee School as part of its physical education classes and the 21st Century afterschool program and students are eager to learn the skill. Big Cypress wildlife manager Jake Osceola teaches the after school program along with teachers Gualberto Mollings and Sissy Cook three times a week. They hope the students will be ready to compete at the National Archery in the Schools Program in Bartow at the end of February. The sport requires precision, control, focus, repetition and determination, which are all skills that cross over into other areas of life. A group of young students picked up bows and aimed the arrows for the target’s bullseyes on Jan. 16, as the teachers coached them on technique, made sure they were handling the equipment properly and cheered them on. 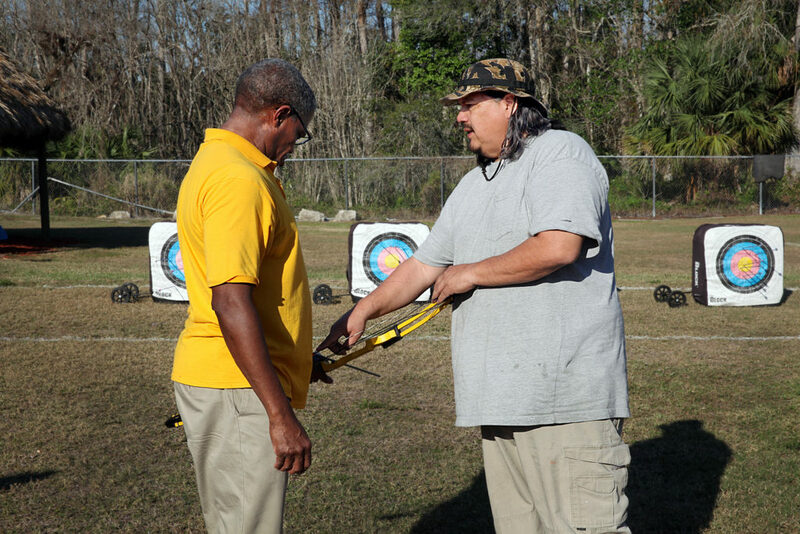 Although Osceola never had formal training in archery, he is now certified by the NASP. 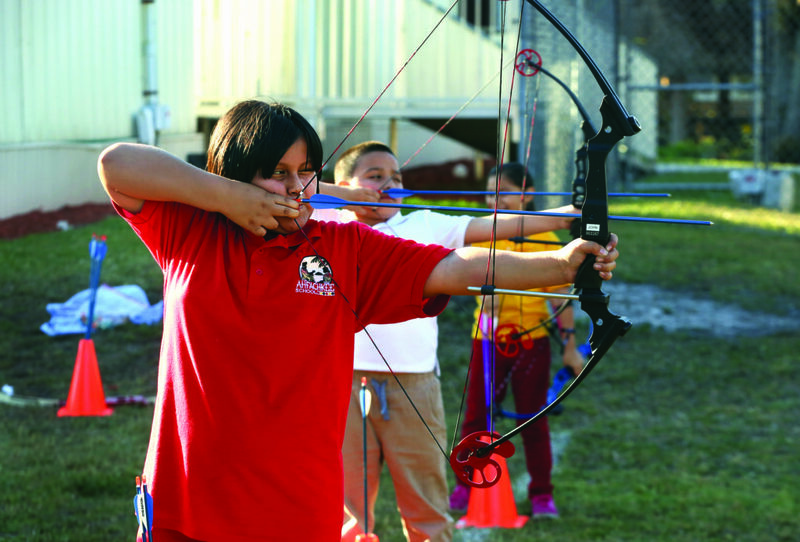 Osceola would like to see Tribal youth compete and train for the Jim Thorpe and North American Indigenous Games, but students had their own reasons for wanting to learn archery. “I thought it would be fun,” said third grader Bryce Billie, 8. “I like that we get to shoot the arrows at balloons,” added second grader John Hall, 9. During the class, balloons were added to the targets as an extra incentive for accuracy. Osceola warned the students that if they didn’t hit a balloon after shooting all five arrows in their quivers, he would take a shot at their balloons. None of the students wanted to allow that to happen, so they tried their hardest to hit them. Only one of the three students in the class that day succeeded. 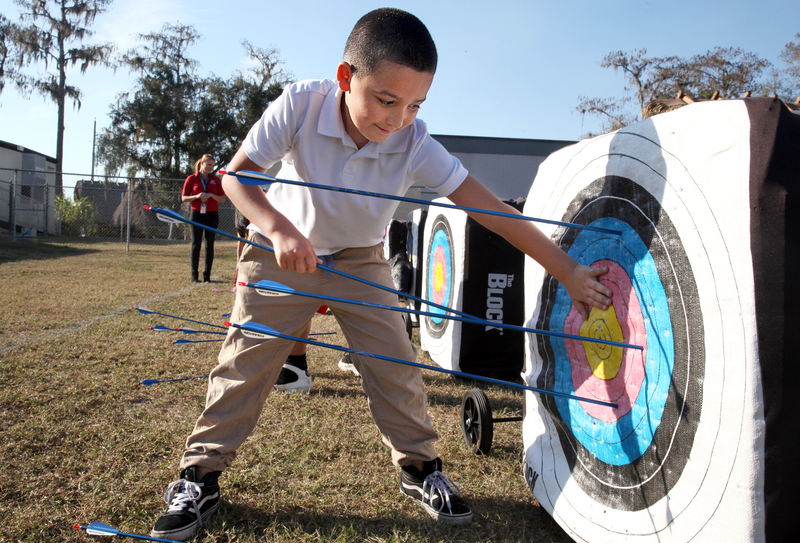 Over the years, Osceola has taught archery to individuals from age 5 to 80. “If you can pick up a bow and see the target, you can do archery,” he said.